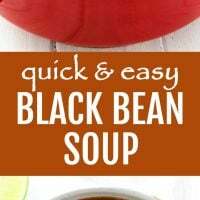 This healthy canned black bean soup is delicious, filling, and comforting. 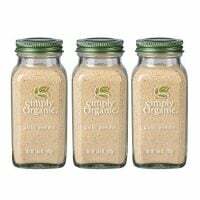 This recipe is very easy to make using the ingredients most people have in their fridge and pantry. 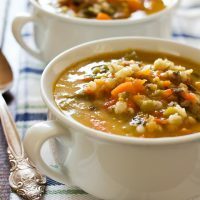 In addition, you can garnish this soup with your favorite toppings to make it even more enjoyable for the whole family. 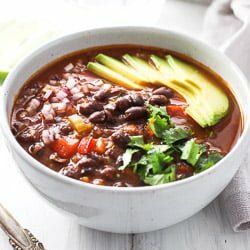 I love black beans when they are made from scratch. 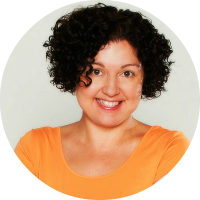 But I find that canned beans can be a real lifesaver for busy families. When you have so much on your plate, there is sometimes just not enough time in a day to spend it on prepping and cooking beans. Of course, beans can be prepared in a pressure cooker but there are times when I just don’t want to deal with it. So, this is when canned beans come to the rescue. 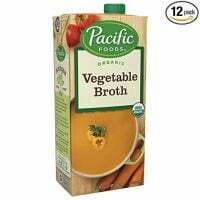 To avoid the high sodium content, I buy low sodium canned goods whenever possible. 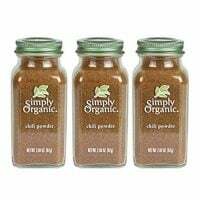 You can also buy BPA free beans to skip other unwanted chemicals. 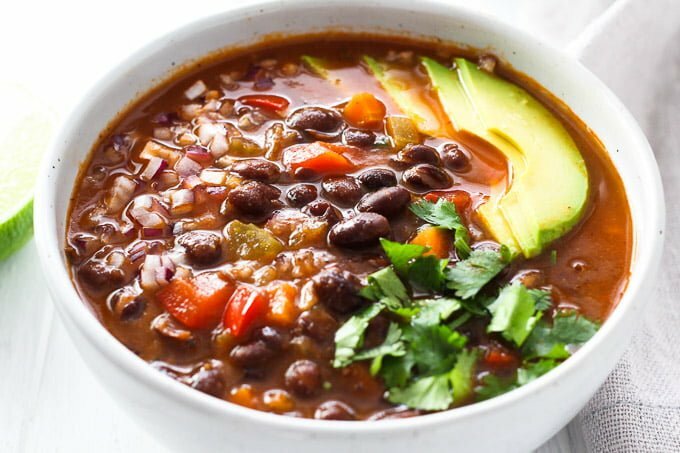 This hearty canned black bean soup is chock full of vegetables and high in fiber. I also love to garnish it with some avocado, fresh cilantro, chopped red onion, and some fresh lime juice. 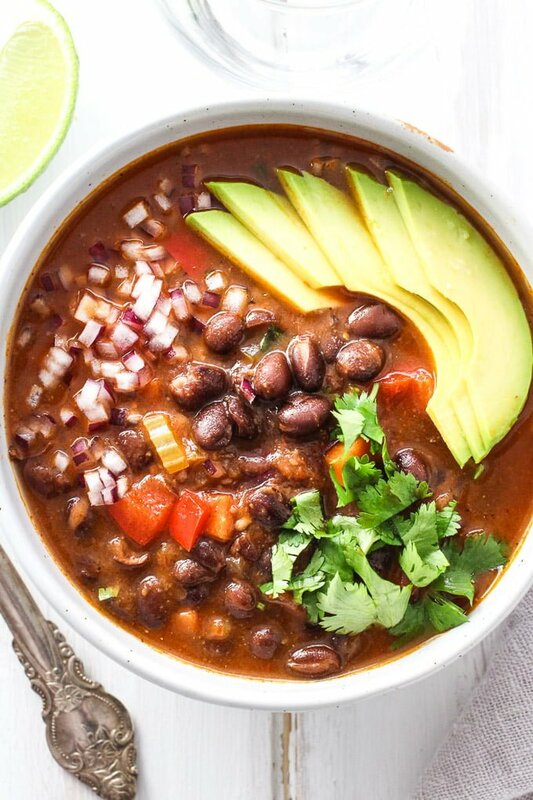 These fresh toppings add even more important nutrients to the soup. 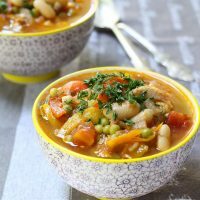 This soup is perfect for a quick and simple healthy lunch or dinner. 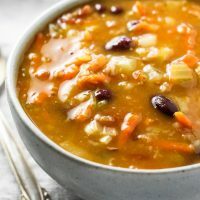 It also keeps very well in the fridge so you can cook it on the weekend and then eat all week long – another healthy soup recipe for your meal-prep collection. 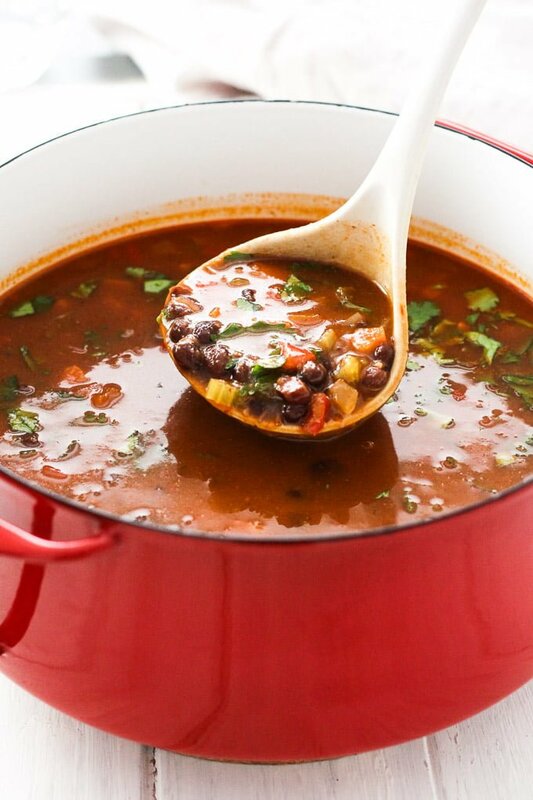 Chili powder and cumin are quite warming so this soup is perfect for fall and winter. 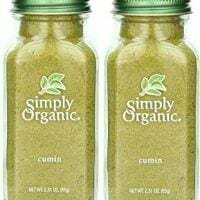 If you like spicy foods you can also add a pinch of Cayan pepper to the soup or garnish it with crushed red pepper flakes. 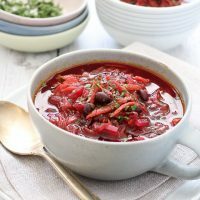 If you love cooking with beans and are looking for more clean eating recipes, check out this Red Bean Salad, this Beetroot Soup with Beans, and this Hearty Chicken and White Bean Soup. 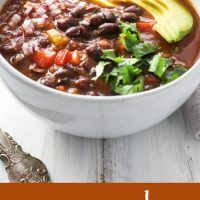 This healthy canned black beans soup is very easy to make. It's perfect for a meal-prep because you can cook it once and eat a few times. 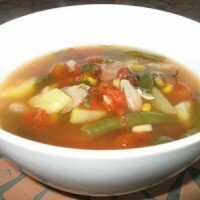 Add your favorite toppings and you have a perfect bowl of soup. In a medium pot, heat the olive oil. Add the sliced onions and cook stirring occasionally until the onion starts to caramelize for about 4 to 6 minutes. Add the carrot, celery, and red bell pepper. Cook stirring occasionally until the vegetables start to soften for about 4 to 5 minutes. Sprinkle the chili powder and cumin over the vegetables. Stir and wait until the spices become fragrant. This usually takes about one minute. Then add the garlic powder. 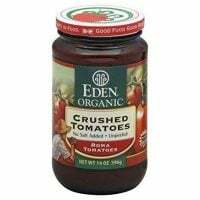 Add the vegetable stock, water, and crushed tomatoes. 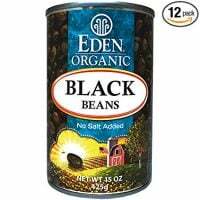 Place half of the black beans (one can) into a bowl and mash them with a potato masher until almost all beans are broken. 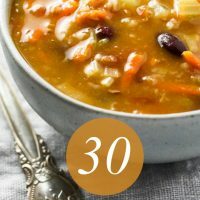 Add all the beans (both cans) to the soup. Season with salt a pepper. Bring to the boil. 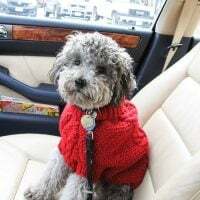 Reduce heat, cover and cook for about 25 to 30 minutes or until the vegetables are cooked through. 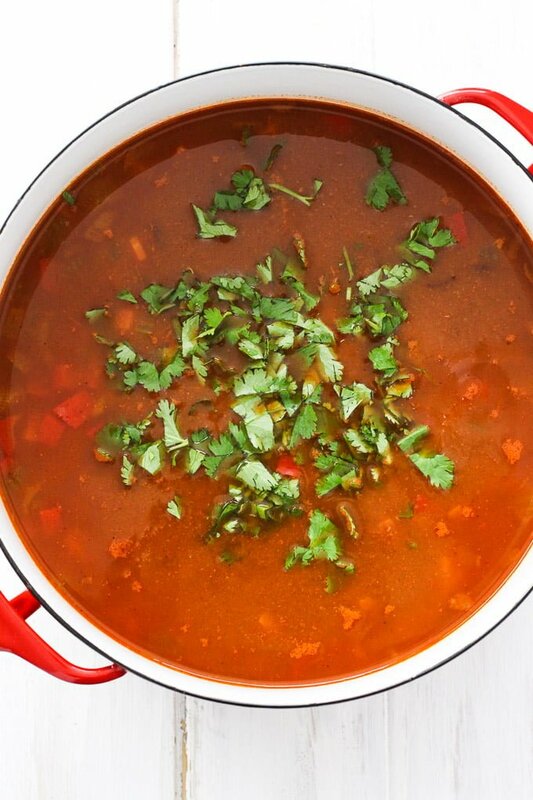 Turn off the heat and the cilantro. To serve, garnish with avocado, fresh cilantro, and chopped red onion. 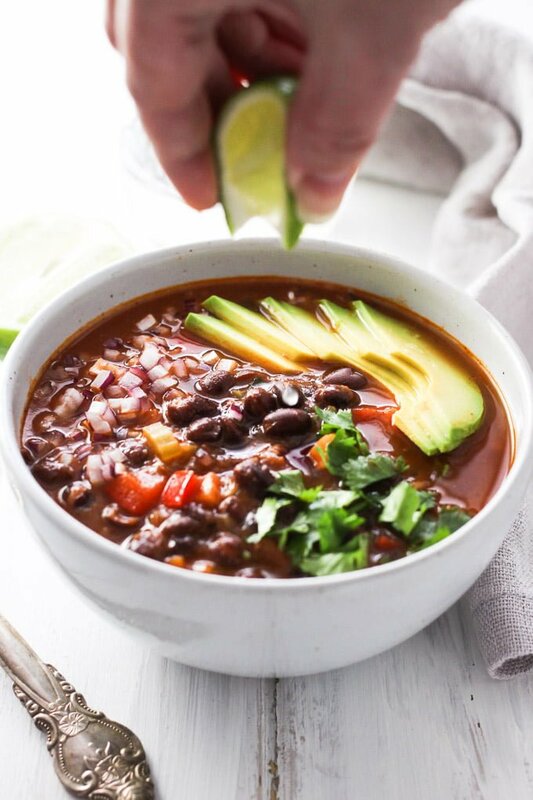 Nutrition information is a rough estimate for 1 out of 6 servings calculated for the canned black bean soup without any toppings using low sodium canned black beans and low sodium vegetable broth.